Howard J. Shaffer, Ph. 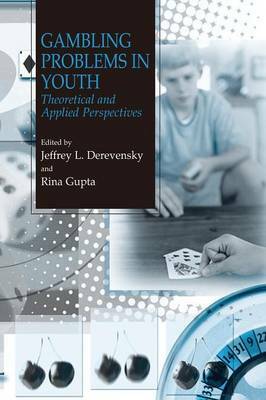 D. More than 20 years ago, I first noted that young people in North America were growing up in a context of legalized gambling for their entire lifetime. By the 1980s, for young people, gambling had become an average and expectable part of the social landscape. Amid legal opportunities to gamble in all but two of the United States and with illicit opportunities to gamble in every state, gambling is now ubiquitous in America. With few social sa- tions to limit a young person's interest in gambling-like their adult co- terparts-young people now gamble in larger numbers and for seemingly higher stakes. Gradually, gambling-related problems became more visible for young people and the culture slowly but increasingly took notice. By the late 1990s, every sector of American and Canadian society had started to c- sider the effects of legalized gambling on youth. For different reasons, r- resentatives of the gambling and health care industries led the movement to prevent youthful gambling and reconcile existing problems whenever p- sible. Scientists also recognized that there was much to be learned by stu- ing young gamblers. Toward the end of the 20th century, there was a rapid increase in gambling research focusing on developmental issues; half of what is known about gambling emerged during the 1990s. This volume represents an important event in the continuing growth of a field.